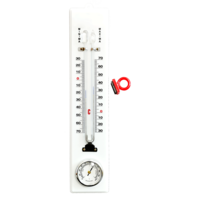 Just like a pressure gauge allows us to know the pressure of fluids, a hygrometer is a tool that allows us to know the relative humidity that exists in atmospheric air. The result is expressed as a percentage that can range between 0-100%. Relative humidity is the proportion of water vapor present in the air compared to the amount of water that would be needed to saturate it at a certain temperature. 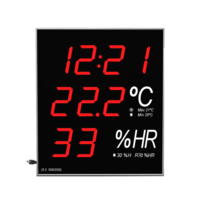 The hygrometers will help you to know if the humidity of your home, office, greenhouse or, in general, any environment is suitable or not; For example, if you dry your throat excessively when you connect the heating, or if the windows are fogged, a hygrometer can be a great ally when it comes to maintaining the perfect temperature and humidity conditions of the environment. 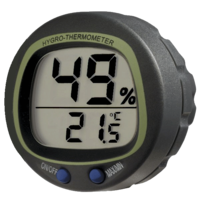 What types of hygrometers are there? Formerly they were built with human hair, but now cellulose or nylon are used. These materials contract or expand with moisture they are cheap and immune to contamination. The fibers connect to dials and move a needle when expanding or contracting. 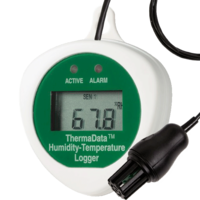 They are useful to indicate excess moisture that can cause bacterial growth or an aggravation of allergies in homes, greenhouses, terrariums, basements or attics. Its system is based on a strip of paper impregnated in salt that hardens with moisture and that is attached to a metal coil that deforms and moves a needle on a dial. 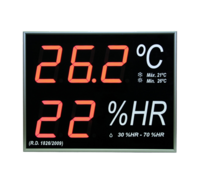 This system is used for very cheap instruments in applications where precision is not absolutely necessary since the maximum precision provided is 10%. 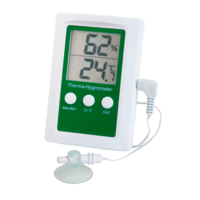 This system uses two thermometers, one with wet bulb and the other with dry bulb. By means of evaporation, the wet bulb is cooled. 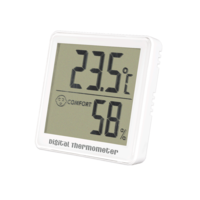 A table with the different temperatures of both thermometers indicates the relative humidity. It can not be used in subzero temperatures since the wet bulb would freeze. 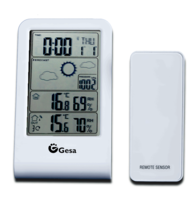 It loses precision below 20% relative humidity. They are typically used in large spaces such as museums where humidity conditions are essential to preserve the exhibits. They are often used in scientific research where small traces of moisture must be identified (up to one part per billion). The surface of a mirror cools until dew drops form that cause the scattering of the reflected light which stops the cooling process. 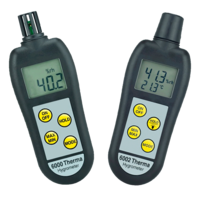 Dew point and frost point hygrometers would be included in this category. 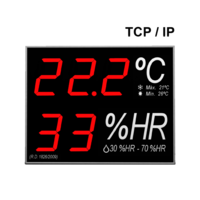 The dew point hygrometer determines the saturation point of water vapor in a gas. 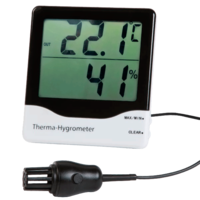 At temperatures below 0 degrees Celsius, the water will frost, so at this point the use of frost point hygrometers becomes necessary. 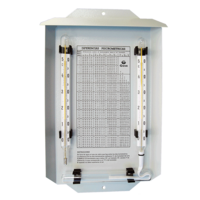 These kind of hygrometers are used to track climate changes and measure the distribution of water vapor in the environment. 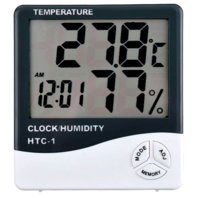 Chilled mirror hygrometers use various cooling methods including dry ice, compressed carbon dioxide, mechanical cooling or liquid air to cool mirror surfaces until the gas, temperature and pressure reach the maximum saturation that causes condensation in the mirror . These mirrors do not need calibration and can achieve accuracies up to 1.2%, but require frequent cleaning and an expert operator. 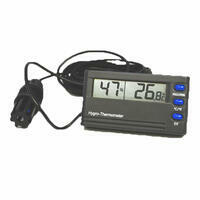 They are usually the most used hygrometers. Its operation is possible thanks to the presence of two electrodes that are spirally wound; between them there will be a fabric that will be impregnated with chlorine in a certain solution with water. When a voltage is applied to the electrodes, the fabric heats up and some of the water evaporates. Depending on the degree of absorption that has occurred, you can know precisely the degree of humidity in the environment. Together with the electric ones, they are considered the best sellers. 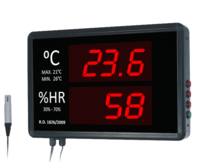 They can use different measurement principles although most use capacitive sensors that transform variations in the dielectric constant of a polymer or metal oxide into readings of relative humidity presented in the form of digits on a screen. 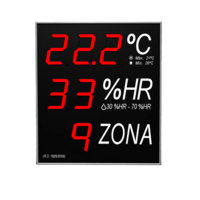 The accuracy of digital hygrometers can reach ± ​​2% in a range between 5% and 95% relative humidity, surpassing that of analog hygrometers. There are some more sophisticated models that take advantage of the hygroscopic properties of some elements to change color due to humidity and thus achieve even higher precision. - They can be used, as we have already mentioned, to improve our quality of life at home, avoiding having to face symptoms of dryness. - Can be used to control the humidity of the wine. 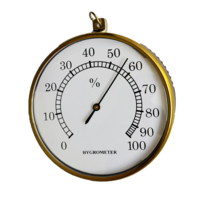 If we are storing it in a wine cellar, we can place the hygrometer, varying the temperature if it is not appropriate. 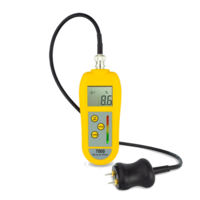 - They can also be used to control the conditions of an aquarium, so that fish, or other animals, are in good condition. These are just some of the fields of application of an instrument that for many experts measures a critical magnitude in mechanical manufacturing systems or industrial processes such as bread baking, since small atmospheric variations can have irreversible consequences.